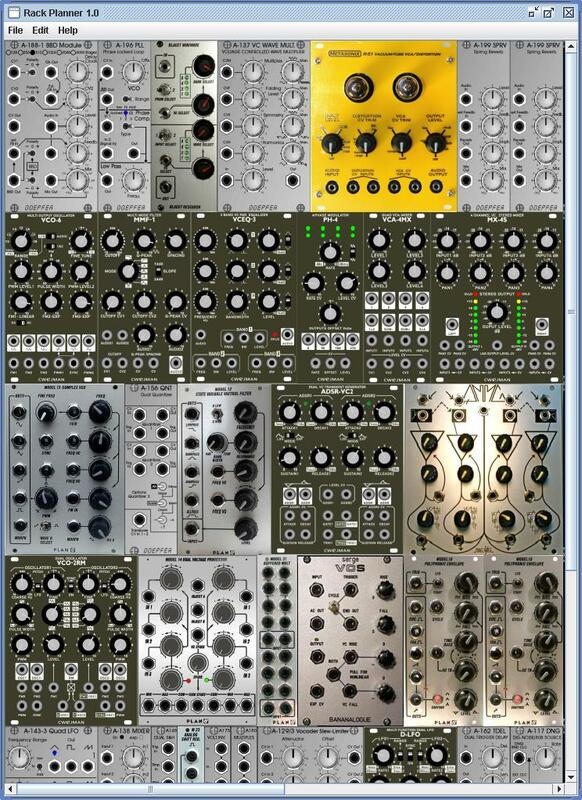 A free Java based modular synthesizer planner. 9) Works with any format (euro, Modcan A, Frac, etc.) and any rack.